← 3 White Lights Making Triangle Fly South. 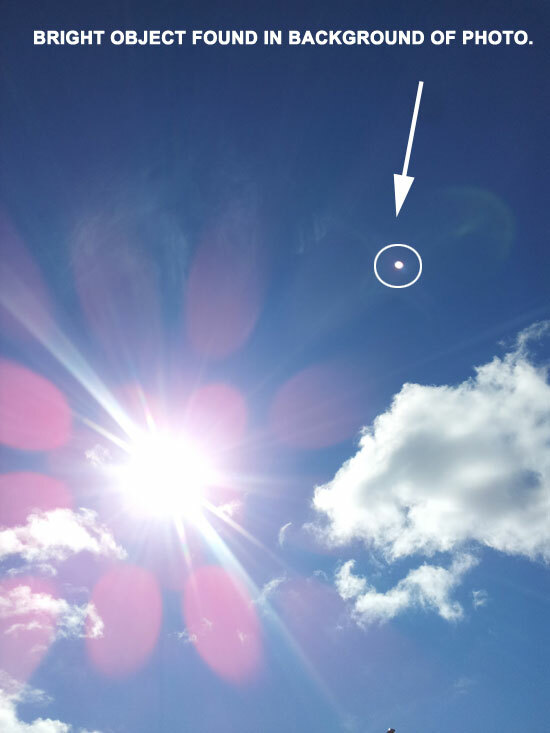 Bright Object Found in Photo of Sun. BRIGHT OBJECT FOUND BACKGROUND OF PHOTO. Description: Hi: I am in the England (UK) in the city of Birmingham. I took a photo of the sun as it had just risen and I have been taking photos of clouds recently. I also thought that the moon looked really small. Since then I have just thought it can’t be the moon as it’s just too small. This entry was posted in bright light, circular, Discovered anomaly in photo, Lens Flare, Orb(s) of Light, Photos, UFO Sightings 2016, UFO Sightings United Kingdom. Bookmark the permalink.